This article discusses conventional 120-volt and 240-volt receptacles. 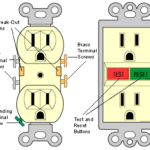 For additional information, also see Electrical Receptacle Buying Guide. These receptacles, which come in several different colors, are easily identified: they have two identical outlets, each with three plug-in slots. Each outlet has an arched slot at the bottom that grounds the appliance; above that are two narrow slots— the wider one is neutral and the narrower one is hot. Check the amperage and voltage requirements of the appliance you intend to plug in to the outlet against the amperage and voltage of the outlet, which are clearly shown on the front of the outlet itself. 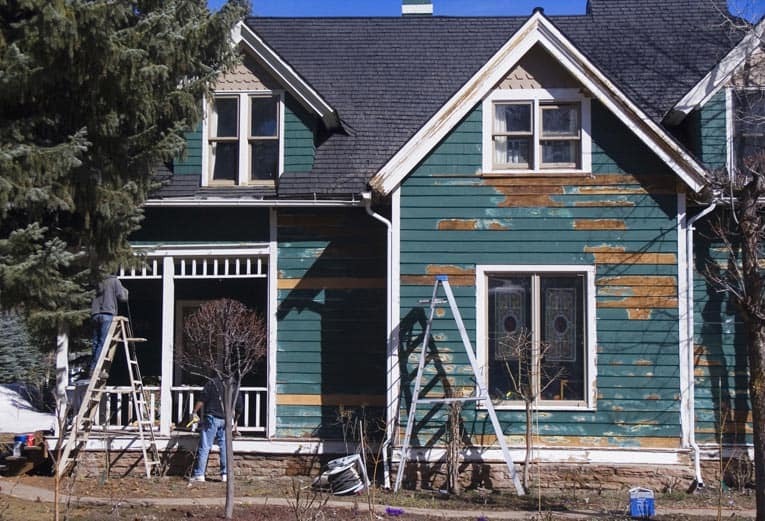 Some duplex receptacles allow for back wiring instead of side wiring because it is a simpler process; however, back wiring is not as secure a connection as side wiring and may not even be allowed by local codes, so check before replacing or installing a new outlet. 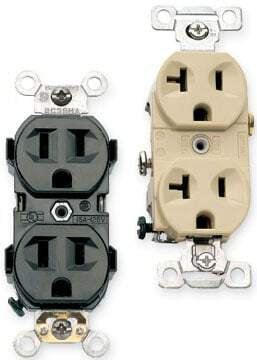 The best option is to purchase a duplex outlet that has both types of connectors. Providing both 120 and 240 volts, these receptacles have four plug-in slots—two that are hot, one that is neutral, and one that is grounding. Before making your purchase, inspect the plug and determine the amperage requirements of the appliance you intend to use on that outlet to make sure it is compatible with the receptacle’s slot pattern. You can find styles that mount directly onto a surface or that are recessed into a wall. This type of receptacle is not for use with standard appliances but rather is reserved for such items as power tools, which often require a dedicated circuit because of their energy requirements. 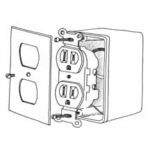 Unlike standard three-prong outlets, which have a neutral and a hot slot in addition to the arch-shaped grounding slot, a 240-volt receptacle has two hot slots in addition to the grounding slot. 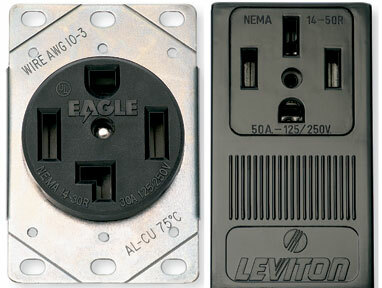 The unique design of the outlet allows you to easily match it up to the plug of the power tool, not only ensuring that amperage requirements are met but also offering the additional safety feature of preventing you from accidentally plugging any other appliance into it. 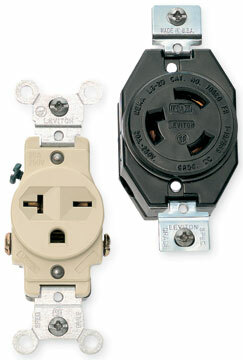 240-volt receptacles come in styles that can be mounted directly onto a surface or recessed into a wall. For added safety, you might consider an industrial model, which has a feature that locks the plug in the slot. This is particularly useful for large or very heavy power tools. A special type of receptacle called a GFCI (or GFI), short for ground-fault circuit interrupter, is required in kitchens, bathrooms, and other exposed, damp areas of a home to protect from the serious shock that can occur where electricity and water meet. Identified by the reset and test buttons located on its face, a 120-volt GFCI receptacle takes the place of a standard duplex receptacle and monitors electric current. It is like a super-sensitive circuit breaker. Whenever the amounts of incoming and outgoing current are not equal, such as during a ground fault or current leakage, the GFCI will sense the problem and shut down itself or, in some cases, other receptacles on the same circuit. So it one or several of the receptacles in the kitchen, bathroom, or outdoor areas ceases to work, look for the GFCI receptacle that serves that circuit. Just push the reset button to reset the receptacle–this will turn on any others connected to it. Push the test button periodically to ensure that the device is working. 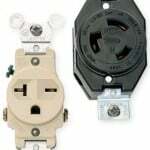 Replacing an ordinary electrical outlet with a GFCI receptacle is just as easy as wiring an ordinary receptacle. For instructions on how to do this, see How to Wire an Electrical Receptacle. Be sure to follow the instructions that come with the device.